Thinking about moving from desktop accounting software to online accounting? Or do you just want to understand how cloud accounting works? The Beginner’s Guide to Online Accounting gives you everything you need to decide whether online accounting is right for you. Accounting is one of the last things people think about when they start up a business. The motivation is almost always to get paid for doing what they love. And that could be selling flowers, designing houses or pulling beers. Yet accounting is the common thread behind every business. Understanding the numbers is critical to success or even just survival. The problem for most business owners is that accounting software has for a long time been designed for bookkeepers and accountants. Everyone else found it difficult to use, hard to understand and generally unwelcoming. The good news is that accounting software is changing quickly. It is experiencing a period of rapid evolution triggered by its transition from desktop software to online software. Online accounting software is nearly identical in function to the desktop variety. However, it has been redesigned and re-imagined in a way that makes it much easier for business owners to use. This migration is most easily explained by the fact that accounting software has made the leap from functional to engaging. Plain English terms, an emphasis on simplicity and user friendliness have made accounting software an attractive alternative to spreadsheets. In short, accounting software is having its iPhone moment. The iPhone was not the first smartphone invented. It was launched in 2007 with fewer features than popular alternatives by Palm and later BlackBerry. And yet it made using a smartphone so easy that children could navigate them. While not quite as friendly as an iPhone, online accounting software has generally adopted the same focus on ease of use. This is an enormously positive development. The more businesses understand accounting and use it to guide their operations, the more successful they will be. 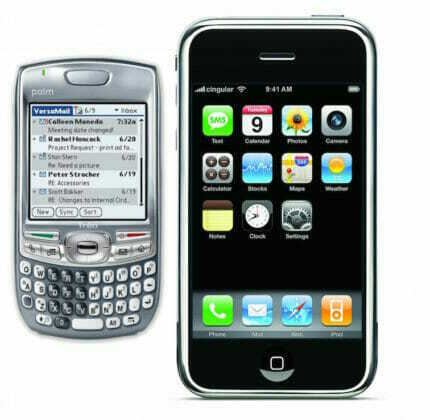 The Apple iPhone had fewer features than existing smartphones such as the Palm Treo but it was far more usable. Consequently, demand for smartphones exploded. A similar story is playing out in accounting software. online accounting software and want to know how it works and how to get the most out of it. Cloud accounting sometimes also refers to hosted and hybrid software. Hosted accounting software is a desktop accounting program operated by a software company from its own data centre. Businesses also access hosted software through an internet browser. A hybrid program is desktop application which saves the data file to the software company’s data centre. Its advantages include the responsiveness and speed of a desktop application and the ability to work without an internet connection. 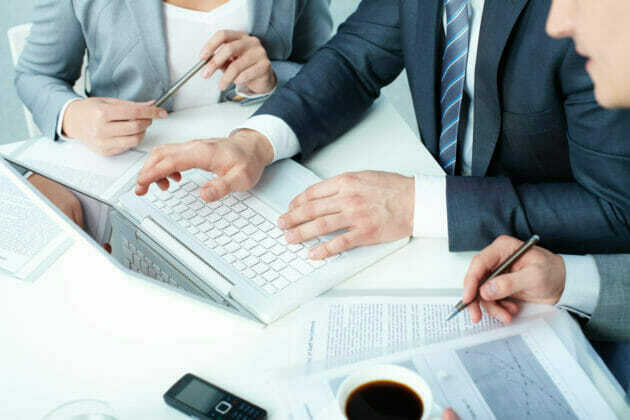 It can also enjoy the advantages of online accounting software. However, it can’t be viewed on tablets or mobile devices or non-PCs such as Macs and Chromebooks. Hybrid and hosted software use a dated design more suited to accountants and power users than business owners. Multi-tenanted online software will soon replicate all the more powerful functions of desktop software. When internet coverage has improved in reliability and speed the need for alternative models will disappear. What’s so great about online software? Digital First is unashamedly in favour of online accounting software over desktop accounting software for several reasons. The most important is this: We are witnessing an explosion of business software which is harnessing the power of the internet to drive a huge leap in productivity. All this innovation is happening almost exclusively with online software. Business owners who have can embrace this world of new software will find they have the latest technology at their fingertips. And they will be able to run their operations from any smartphone, tablet or device with an internet connection. It is important to note upfront that a reliable internet connection is mandatory. Online business software won’t work on a plane (without WiFi) or if your internet connection is unusably slow or temperamental. Although this guide focuses on the topic of online accounting software, many themes apply to online business software in general. This guide (indeed, the mission of Digital First) is aimed at encouraging you to use business software better. What’s wrong with sticking with Excel? Many business owners type their receipts and sales into a spreadsheet. After all, Excel is virtually free because almost everyone uses Microsoft Office. This is fine for keeping track of a hobby or a one-off business activity. Accounting software is a major improvement over spreadsheets for one main reason. It is no longer a historical record only used by the taxation office. Instead, a business owner can use accounting software as a tool to review and improve the performance of their business. Desktop accounting software could already do this but its accountant-focused design meant that business owners seldom understood its full potential. Online accounting software is changing this. If you want to know more about the downsides of a spreadsheet check out Chapter 1: What is Online Accounting Software? where we compare it to an online accounting software. How much of this guide do I need to read? If you want to fully understand how online accounting software can improve your business we recommend reading this guide front-to-back. It’s short and easy to understand. There’s a printable PDF version for those who’d prefer and links to dozens of resources on other sites. This guide is critical to understanding how online accounting works and why it’s a good idea for almost any business. 1. Intuit says 70 percent of its new customers have never used accounting software before.